As a locally-owned, independent company, we offer homebuyers and sellers the highest level of service for their real estate needs. We provide unique sales and marketing programs, industry-leading technology, and experienced, innovative agents. With no affiliation to larger corporate entities, we are able to be more flexible, embrace technology sooner, and respond faster to our clients’ individual needs. 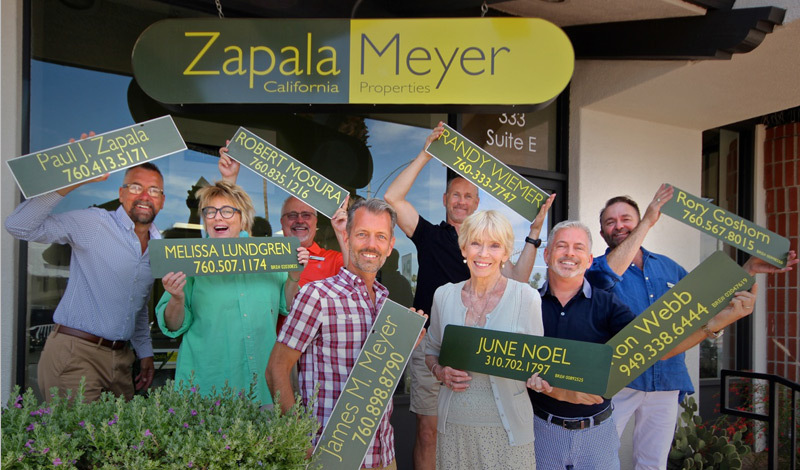 We are committed to calmly and confidently guide our clients through the often anxiety-inducing, nerve-wracking, ‘this-doesn’t-even-make-sense’ process of buying and selling real estate in the greater Palm Springs area. With a personal approach grounded in experience, knowledge, integrity and true on-going partnership with our clients, we help realize dreams, secure investments and solve challenges. Personal and professional service is our goal. One of us will be dedicated to you and remain your main point of contact throughout the transaction. Our goal is to provide you with expert, caring, and candid advice throughout one of the most important transactions you will ever make. We are unique in Palm Springs: We focus on realizing real-estate dreams and guiding and facilitating real-estate investment transactions in a professional, business-like yet unequivocally personal, engaging manner. Experienced, Knowledgeable and service-oriented, we are your front-door to Palm Springs.